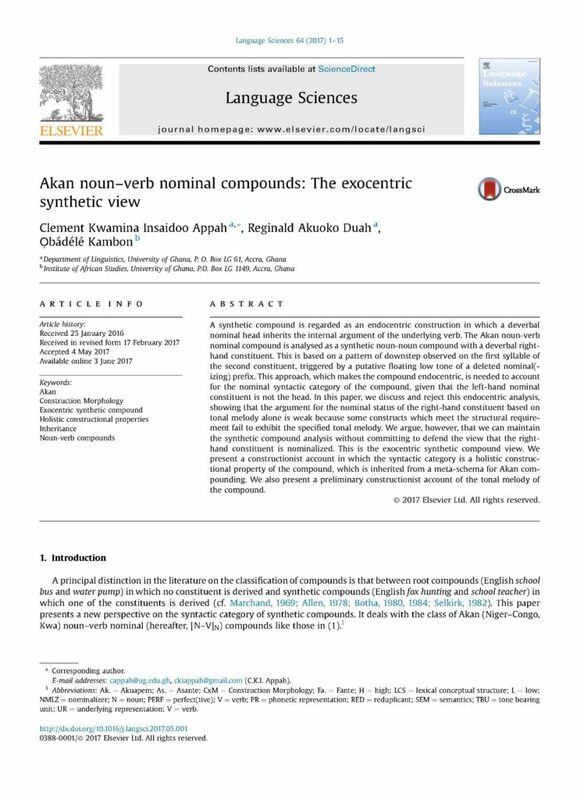 A synthetic compound is regarded as an endocentric construction in which a deverbal nominal head inherits the internal argument of the underlying verb. The Akan noun-verb nominal compound is analysed as a synthetic noun-noun compound with a deverbal righthand constituent. This is based on a pattern of downstep observed on the first syllable of the second constituent, triggered by a putative floating low tone of a deleted nominal(-izing) prefix. This approach, which makes the compound endocentric, is needed to account for the nominal syntactic category of the compound, given that the left-hand nominal constituent is not the head. In this paper, we discuss and reject this endocentric analysis, showing that the argument for the nominal status of the right-hand constituent based on tonal melody alone is weak because some constructs which meet the structural requirement fail to exhibit the specified tonal melody. We argue, however, that we can maintain the synthetic compound analysis without committing to defend the view that the righthand constituent is nominalized. This is the exocentric synthetic compound view. 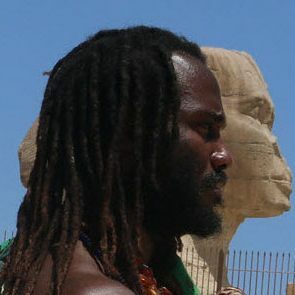 We present a constructionist account in which the syntactic category is a holistic constructional property of the compound, which is inherited from a meta-schema for Akan compounding. We also present a preliminary constructionist account of the tonal melody of the compound.